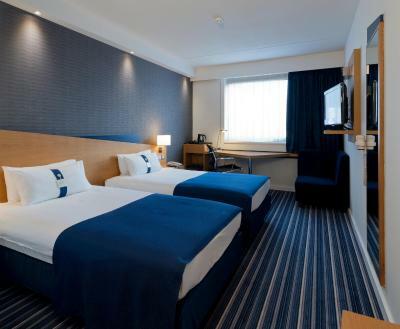 Lock in a great price for Holiday Inn Express Mechelen City Centre – rated 8.3 by recent guests! I loved the breakfast selections: nice selection of breads, cheeses, ham, yogurt, waffles. Lots of interesting toppings. The concept of the ground floor with the reception and living room/breakfast area and with the possibility to buy refreshments and other useful items. The receptionist was very friendly and helpful. Very nice hotel with excellent location and friendly staff! Breakfast good, staff lovely. Hotel excellent position for sightseeing, near the square and near station to travel to a Brussels and Antwerp. Enjoy elegant guest rooms at competitive rates in the very heart of historical Mechelen. 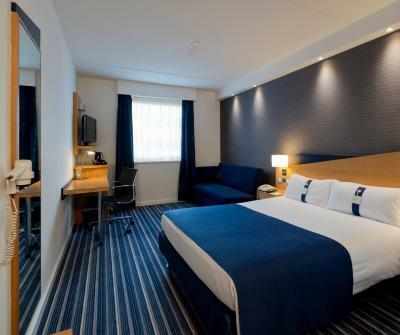 When would you like to stay at Holiday Inn Express Mechelen City Centre? Air-conditioned room with a sofa bed and tea/coffee maker. 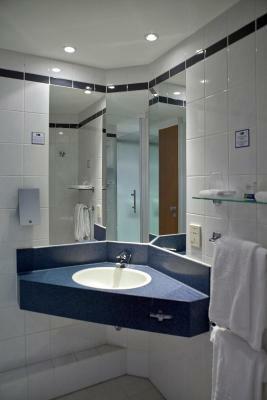 Holiday Inn Express Mechelen City Centre is part of PREM Group. Established in 1996, PREM Group is a fully owned Irish company in the business of operating over 35 hotels and serviced apartments across Ireland, the UK and Europe. For Europe head office is located in Gent under the name PREM Group Benelux & France Division. The number one priority within each one of our hotels is our personal service towards our guests as well as our customer care. House Rules Holiday Inn Express Mechelen City Centre takes special requests – add in the next step! Free! All children under 17 years are charged EUR 0 per person per night when using existing beds. Holiday Inn Express Mechelen City Centre accepts these cards and reserves the right to temporarily hold an amount prior to arrival. Please note that hotel parking lot is underground and has a maximum height of 5'10". Room temperature was 25 degrees way to hot for sleeping. Airco did not respond to different setting. Payed parking was only till noon!! although payed for 24 hr and arriving at 18 hrs the day before. Although they provide the coin for exiting, they blamed the city for it!!! Our room was already checked out by the reception (#@$%). When we returned at 11:30 hr !!!!! We still had the room badges, but they were cancelled by a very unfriendly white chubby female with an attitude. We finally were allowed to use someone else's room!!!!! Why the parking cannot be reserved? Some of the fixtures need some attention, not big things but.... Also cleaning should be more trough, there were some candy wrapping under the bed when we arrived. And laundry carts you meet everywhere. The staff was excellent, very helpful and polite. The location is very good, is effortless in range of railway station by foot. The breakfast was excellent, really loved the idea of waffle machine. The room was big, and imaginatively done, so you gain space.